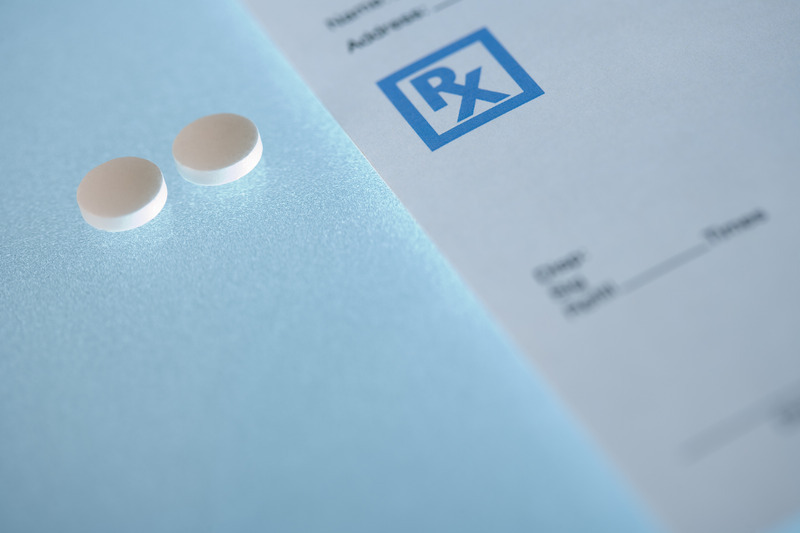 Chances are one or more of your employees misuses or knows someone who abuses opioids, the powerful prescription pain relievers that can cause impairment, addiction and fatal overdose. According to the U.S. Department of Health and Human Services, some 11.4 million Americans misused prescription pain medicine in 2016 and 2017. Often prescribed for legitimate medical reasons, opioids are highly addictive, and virtually anyone can develop a problem with them. One in three Americans had a prescription for an opioid in 2015. Nearly 50,000 Americans, or around 130 people per day, died from drug overdoses involving a prescription or illicit opioid in 2017 – more than double the number of opioid-related overdose deaths in 2010. The crisis affects the entire country and all demographics. As many as one in four patients receiving long-term opioid therapy in a primary care setting struggles with opioid addiction. Data from other sources, including the HHS and the Henry J. Kaiser Family Foundation, also show that more than half of adults with an opioid addiction are employed. That translates to increased costs for employers, from lost productivity to increased health care bills. Nationwide, the CDC and the HHS estimate that the total economic burden of opioid abuse is approximately $78.5 billion annually – with $29 billion of that representing increased health care costs. Signs of opioid abuse can be difficult to spot. A recent survey by The Hartford Financial Services Group insurance company found that only 24 percent of HR professionals and 18 percent of workers feel confident they could recognize an addict. Further complicating matters are American with Disabilities Act and Equal Employment Opportunity Commission guidelines that make it extremely difficult for employers to determine if an employee’s use of drugs is legitimate or not. Still, employers can take steps to reduce employee substance abuse. In turn, they can decrease health care costs and workplace injuries while improving productivity. Employers should, if possible, provide resources for employees seeking help for opioid addiction, especially those who self-disclose the problem. One place to start is your existing health care plan. 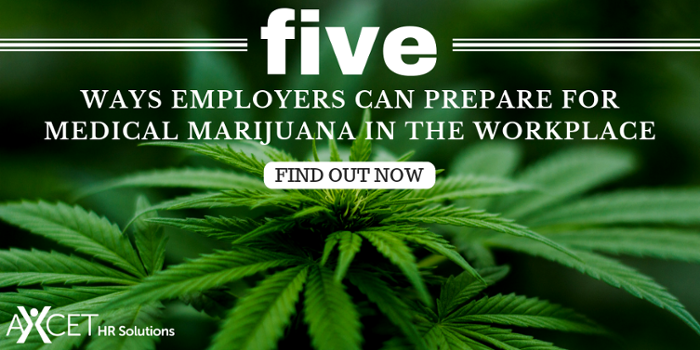 It already may offer benefits to your employees, such as drug abuse programs and access to chronic pain specialists, behavioral health professionals and alternative medical treatments. If so, remind employees about these resources. Educate workers about the hazards of opioids and using illicit substances. Share third-party information through employee communications channels to raise awareness of the dangers associated with prescription pain killers. When employees understand the risks associated with prescription opioids, those who need treatment for pain will be able to consider whether some other alternative might be a better option for them. Implement or remind employees about your company’s drug-free workplace policies, which should include language that addresses the non-medical use of prescription drugs. Reiterate that alcohol and drug use is prohibited in the workplace. 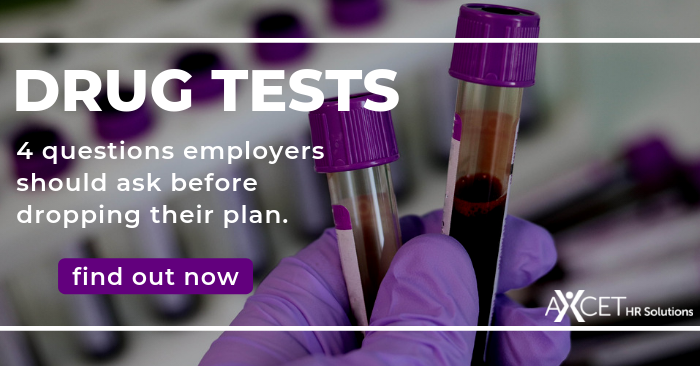 In today's tight labor market, it may be tempting to drop employee drug testing in order to expand your talent pool. Here are four questions to ask before dropping your business' program. If you suspect one of your employees is abusing opioids or has a family member struggling with the issue, provide the opportunity for that person to confidentially discuss his or her health benefits with an HR professional. Emphasize that the company will protect the privacy of employees who seek treatment, in accordance with HHS federal regulations regarding the confidentiality of alcohol and drug abuse patient records. If you don’t have in-house HR resources, you can work with a qualified, third-party HR expert like Axcet HR Solutions, which can help you navigate these issues. Serious addictions, left untreated, ultimately will result in poor job performance or attendance. When this occurs, you should document the behaviors. You also can coach or discipline employees for legitimate problems at work, even if they are related to legal prescription drug use. A caring conversation about an employee’s options for help may be more beneficial in curbing the issues than threatening or abruptly terminating an individual. For more information on steps you can take to address opioids in the workplace, read the National Safety Council’s report.